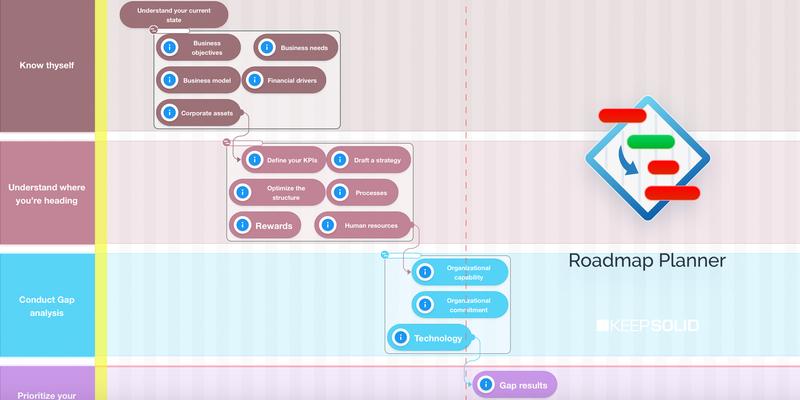 What is a roadmap and why do you need one? 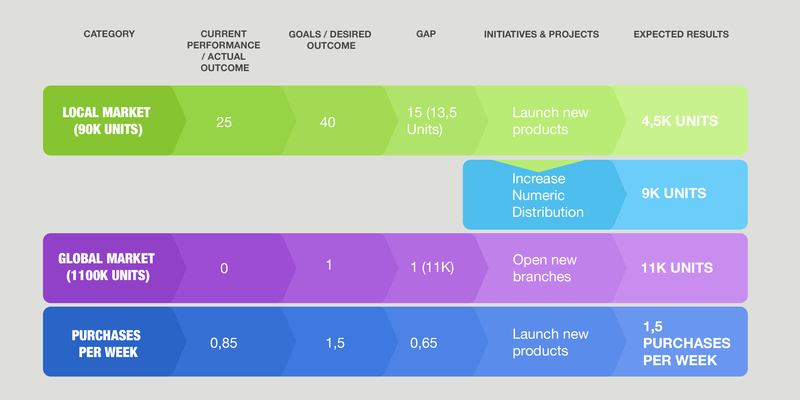 How to define goals for a roadmap? 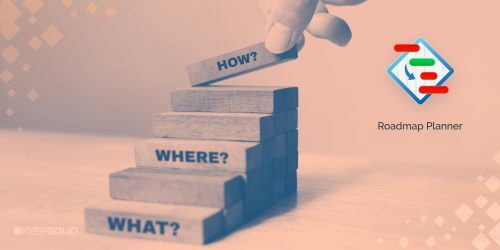 How to define your current position for a roadmap? How to outline the path towards your goals in a roadmap? If you are a regular reader of our blog, by now you should already know our answer to the question “to plan or not to plan?”. For newcomers – but of course to plan! The next important question, however, is HOW to make a plan? More specifically, how to write a business plan if you don’t have that much experience and/or would rather avoid employing professional analysts? This is exactly what we’re going to discuss today! These questions naturally define the structure of the roadmap. Below, you will see how to answer them properly and how to build your strategy around them. This first step is arguably the most vital. After all, if you don’t set your targets right, it won’t matter how well you perform other steps – you will be heading in the wrong direction altogether. That’s why it’s crucial to grasp a couple important concepts when you start planning your own strategy. 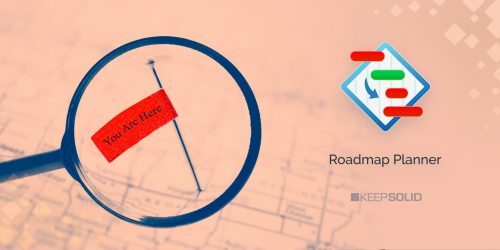 Build your perfect roadmap using Roadmap Planner by KeepSolid! Vision is all about imagining your organization reaching its goals. Understand how this will affect it, what implications this might have, how the business environment will react, etc. Why is this so essential? Because you don’t want your aims to be set in vacuum, not bound to real problems and background. Envisioning your company having achieved its targets may help you come up with important related questions, like “what if we actually get there?” and “is this really what we need?”. Take heed – developing a Vision hides a certain pitfall. Seeing how it is usually a mental product of a business owner or a CEO, Vision can be subject to cognitive biases. This is a topic for another day, but for now – double make sure your goals pass the reality-check. The pitfall of structural thinking is in how difficult it is for us humans to conduct proper induction. In general, you can’t be 100% sure that whatever subgoals you’ve derived are actually the crucial ones. That’s why it’s always recommended to double check them by performing a reverse operation to see if your trains of thought come back to the initial point. State of modern markets can be easily described by the VUCA concept. That is, they are Volatile, Uncertain, Complex, and Ambiguous. Any old-school long-term planning becomes nigh-impossible in such environment. It takes a business Vision, Understanding, Clarity, and Agility to have a chance to succeed on these markets. In this regard, no wonder why the Black Swan theory by Nassim Nicholas Taleb becomes more and more popular nowadays. In this theory, a black swan is an event that has a major effect on business results, yet occurs unpredictably. What’s important is that you don’t have to try and forecast such events, but rather to build up the robustness of the business – being able to withstand the negatives while still exploiting the positives. Be sure to plan for big swans when deciding on your goals. Once you know where you want your business to get, you should analyze its current state with the end goals in mind. Take a look at your resources, market niches, competitive environment, understand which of them can influence your path towards the targets, and how. Think what factors in the past brought you to the present situation. This stage, while obviously important, is highly subjective and depends on the organization and its goals. So, alas, there isn’t much we can add here – you’ll have to figure out your current state yourself. Now that we know where we are and where we wish to get, it’s high time we decided how. At this stage, we’ll once again use structural thinking, but now – to determine which steps and tasks will result in reaching milestones. Which, in turn, will facilitate the accomplishment of the aims. Define your business’ key components that affect the dimensions in which your goals and subgoals lie. For instance, your customer goodwill may be influenced by product quality, helpfulness of client support, and post-sale marketing activities – those are the components. Determine how these components must be changed to promote objective fulfillment. Analyze organizational capabilities to affect the components. Perhaps, you outsource your customer support, so there’s little you can do to increase its quality, but you employ your own marketers and have full control over their activities. Choose the technical solution. Basically, this is answering the hows of your strategy. Will you update your developers’ devices so they can work more efficiently, or would you rather hire a manager who can optimize their work? Now that we’ve conducted GAP Analysis, how exactly do we craft the roadmap? A universally applicable standard for building any kind of Roadmap, whether you develop it in a professional planning service, like Roadmap Planner, or draw it on a sheet of paper, is a Balanced Scorecard (BSC). 1) Be incremental. Never build a long-term plan so rigid that it doesn’t allow ad hoc changes in case of unpredicted events (black swans, remember?). 3) Visualize dependencies between tasks. 5) Be available for key stakeholders at any times for them to be able to align their actions according to the global goal, not only their ongoing tasks. 1. Develop a Vision of the future that you want your organization to get to.